Notoriouss Clothing features designs that highlight the culture and experiences of The Notorious B.I.G. 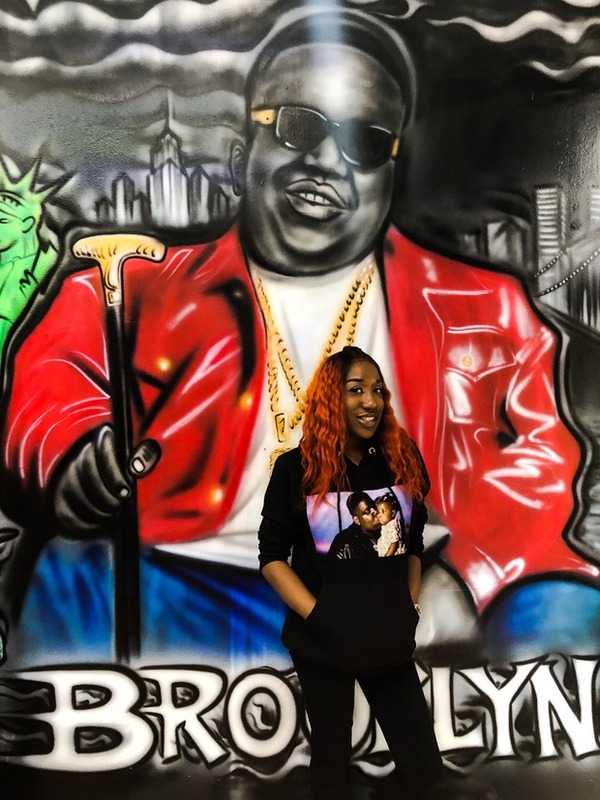 Clothing designer, T’yanna Wallace, daughter of rapper The Notorious B.I.G., launched her clothing line “Notoriouss,” inspired by her father, in 2013. The store recently moved to a new location, across the street from its previous location on Atlantic Ave., a couple blocks away from the Barclays Center. 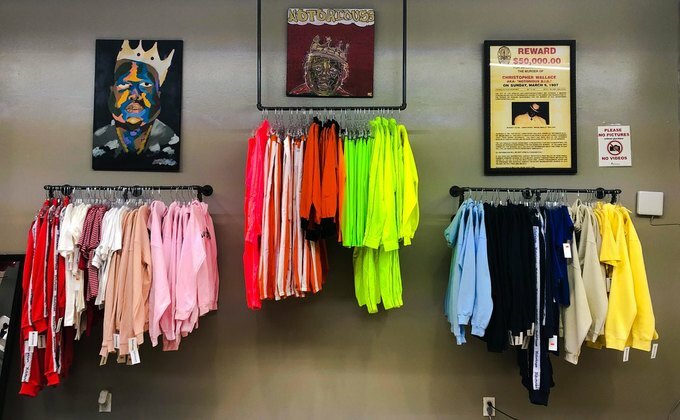 The concept of the store is to pay tribute to Biggie and New York hip-hop by featuring designs that highlight the culture and experiences of The Notorious B.I.G. The new location is spacious, has a large mural of Biggie on the right side of the entrance, and has racks of color-coordinated clothing. All the designs are striking, ranging from minimalistic bold hoodies, socks, hats, and fanny packs that say “Notoriouss,” to bright, colorful pieces that have intricate Biggie-inspired designs. 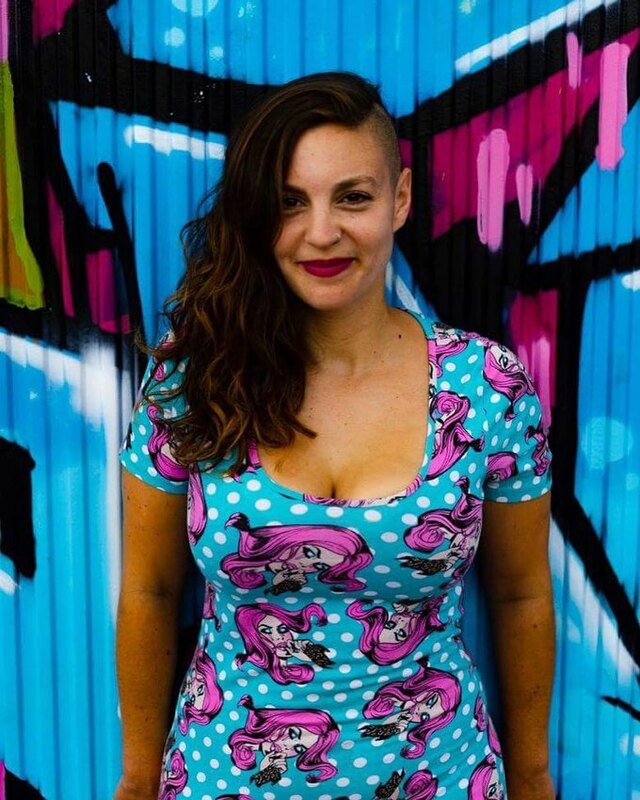 Wallace has expressed her creativity through art since she was a child; picking up drawing at eight years old, she soon began to design clothing as a young teen, at 13. Wallace was inspired by her father, but still wanted to keep her individuality . “A big misconception is that this is Biggie line,” said Wallace. “It’s not, it’s just inspired by my dad a little bit.” Wallace incorporated Biggie’s favorite color black into many of her designs. She also paid homage to Brooklyn through her clothing line, the rapper’s hometown. Wallace thinks that hip-hop has significantly changed since her father made music. But similar to art, music is constantly evolving and changing and that isn’t necessarily a bad thing. Wallace finds new meaning in both art and music, every time she returns to it. 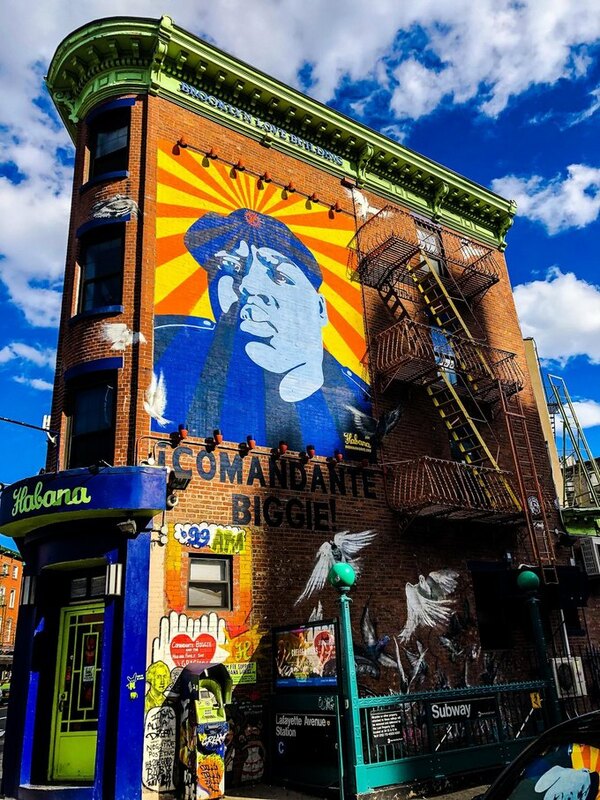 Mural to The Notorious B.I.G. in Brooklyn. “The older I get, I hear different things in my dad’s lyrics, I understand different things. Listening to one of my dad’s songs at 10 and 26 is completely different,” she said. Her favorite song is “Hypnotize,” a party song still frequently played at clubs. Wallace loves to see how some of Biggie’s work is timeless and still translates to a modern audience. Through her clothing design work and store, Wallace aimed to contribute to hip-hop culture, Brooklyn’s history, and to keep her father’s legacy alive. Notoriouss Clothing is open from Tuesday to Saturday from 11 a.m. through 7 p.m. You can also check out their online shop.